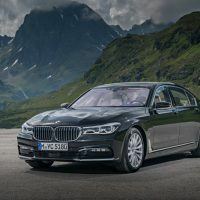 The BMW 740e xDrive iPerformance builds on the 7 Series reputation for refined performance, luxurious appointments, and advanced technology. 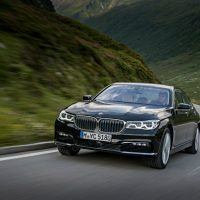 With plug-in hybrid capabilities that promise increased economy and environmental friendliness, BMW delivers in all areas with this full-size luxury sedan. 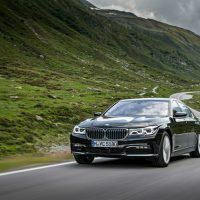 The 2018 BMW 7 Series comes with more semi-autonomous driving features, otherwise it carries over unchanged for 2018. 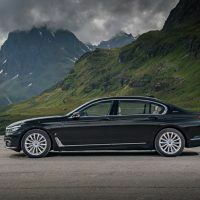 As you would expect from the BMW 7 Series, this 740e xDrive iPerformance ($90,700) comes loaded with standard features like adaptive air suspension with driver-selectable modes, 19-inch alloy wheels, adaptive LED headlights with automatic high beams, automatic windshield wipers, front and rear parking sensors, a power trunk lid, and power-closing doors. 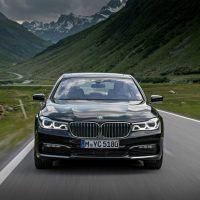 The 2018 BMW 740e comes with other luxuries such as 14-way power-adjustable heated leather seats, wood trim, four-zone climate control, a panoramic moonroof, and auto-dimming rearview mirror. 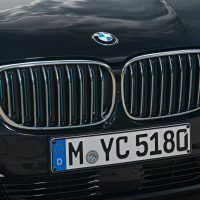 Standard tech features include a 10.2-inch infotainment screen with navigation and BMW’s iDrive, a touchpad controller with gesture control, Bluetooth and Wi-Fi connectivity, a wireless Qi charging station, a 16-speaker Harman Kardon sound system, and a number of connected features that work online or with special BMW apps. 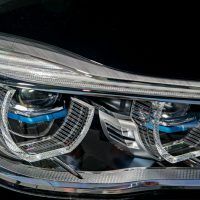 This 2018 BMW 740e tester featured the Driving Assistance Package ($1,700), which adds a full-color heads-up display, blind spot monitoring, and a lane departure warning system. The Driving Assistance Plus Package ($1,700) added full-speed adaptive cruise control with stop-and-go, collision mitigation brake assist, a lane centering and steering assist system, semi-automatic lane changing assist, and more. It’s a pretty advanced setup for the money. A Cold Weather Package ($400) added the heated steering wheel and heated rear seats. Finally, a Parking Assistance Package ($700) upgrades the standard rear camera to a surround view setup with a neat integration in the gesture system that lets you rotate a virtual camera around the car for maximum visibility when parking. This package also includes a semi-autonomous parking assistant feature which, at the touch of a button, takes over the steering while parallel parking. Total MSRP including destination: $99,845. 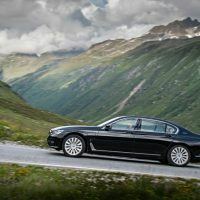 Stepping inside the 2018 BMW 740e reveals an elegant, roomy cabin filled with wood and leather. The instrument panel is contemporary, featuring a horizontal shelf with satin-metallic brightwork on the knobs, many of which change temperatures for the comfort of your fingertips. It’s a place you’ll want to spend lots of time. The front seats are first-class, and hit the sweet spot between comfort during those long hours behind the wheel, and extra support for more spirited driving through tight corners. The interior has a limo-like feel with plenty of room for drivers and passengers to get comfortable. The rear is luxurious for two, but there is room for three under the Sky Lounge panoramic LED roof. 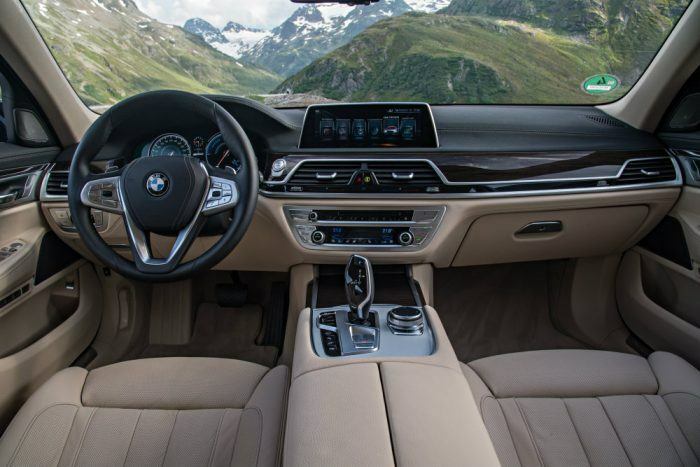 On the 7 Series there is the familiar iDrive controller, now with a handwriting touchpad (also steering wheel controls and voice recognition) for those who don’t like finger smudges on the screen. 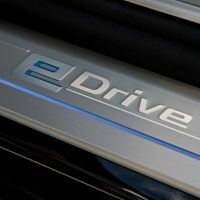 The iDrive also now has Gesture Control where you just flash the sensor one of five hand signals: to get the sound system volume raised or lowered, answer or don’t answer the phone, or browse a 360-degree view of the cabin. We cranked up the Harman Kardon surround sound with 1,400 watts and 16 speakers and enjoyed the ride. The heads-up display kept our eyes on the road and the standard Adaptive Headlamps don’t just turn with the car, they consider speed, steering angle, and yaw and lit the way on our drive to Evergreen, Colorado. 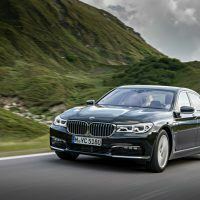 The 2018 BMW 740e is powered by a 2.0-liter turbo four-cylinder engine, rated at 255 horsepower and 295 lb-ft. of torque. 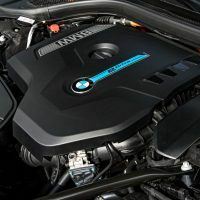 It is mated with a 111-horsepower electric motor that boosts total system output to a healthy 322 horsepower and 369 lb-ft. of torque. 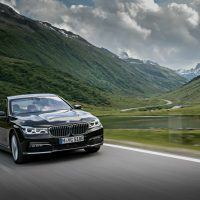 That powerplant is mated to an eight-speed automatic and BMW’s xDrive all-wheel drive system. 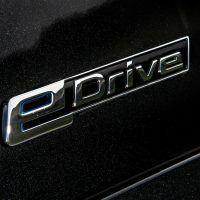 The 740e gets 64 MPGe, 27 combined miles per gallon, and 14 miles of all-electric range. 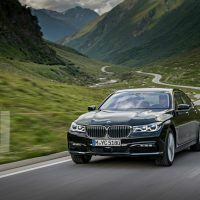 We were initially concerned since the full-size luxury 740e is powered by a 2.0-liter four-cylinder, but the electric motor adds plenty of juice to get this large sedan moving. We pushed the 740e hard up I-70 at altitude west of Denver and the twin-turbo left us impressed with its performance. 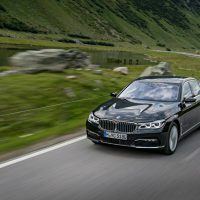 On the road, the luxury sedan is relaxed and the hybrid system is seamless. 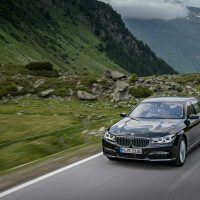 We took the 740e around tight mountain corners and the big sedan isn’t exactly nimble, but the electric power steering is light and direct, perfect for the typical luxury buyer. 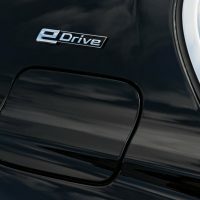 We put the luxury hauler in Sport mode and it felt extra quick for our more spirited driving maneuvers. 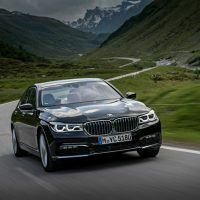 You can also change the feel of the 740e: Comfort mode smoothes out the ride, for example, while Comfort Plus makes it float over dirt roads or rough pavement. 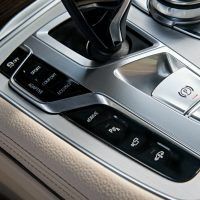 The eight-speed automatic transmission has special shift characteristics, changing with curves and terrain, making it ideal for the mountain driving we did. To improve fuel mileage, an automatic Stop-Start feature turns off the engine when the car stops, then back on again when it’s time to move. 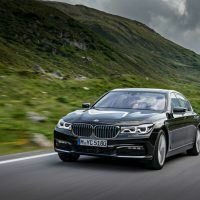 If you want a large luxury sedan with all-electric plug-in capability, the 2018 BMW 740e is a prime choice. 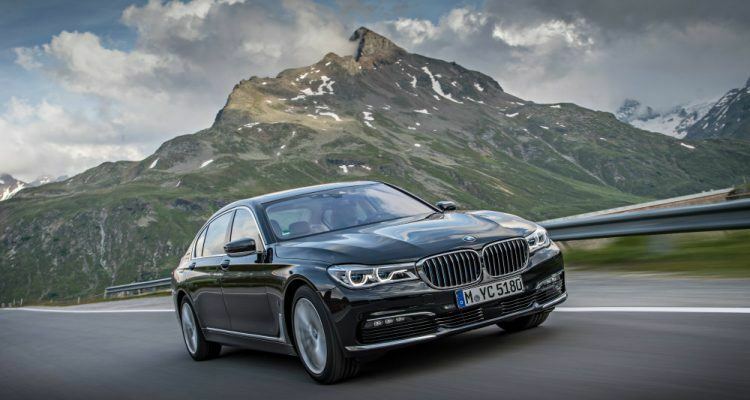 If you’re looking for comfort and performance, you’ll be happy with the BMW 740e. 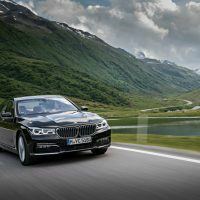 BMW 7 Series Official Site. 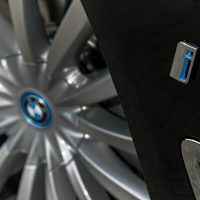 Photos: BMW of North America, LLC. 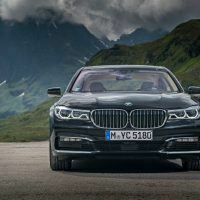 1 Comment on "2018 BMW 740e xDrive iPerformance Review"